The undisputed highlight of the day was a brief ♀ Red-footed Falcon at Long Nab just the third record for the Scarborough area. 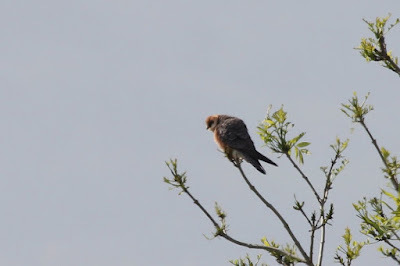 It was only seen by two fortunate observers Chris Bradshaw and Micky McNaghten and this is how Chris describes the discovery "A quiet ringing session at Long Nab this morning was enlivened considerably by the appearance at ca 08.45 of this female Red-footed Falcon. 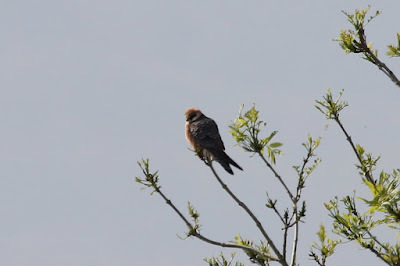 Initially seen flying south over the middle plantation and farm buildings, and suspecting it may have landed, we made a lung bursting run up the hill and to our delight Micky soon found it perched in a tree. 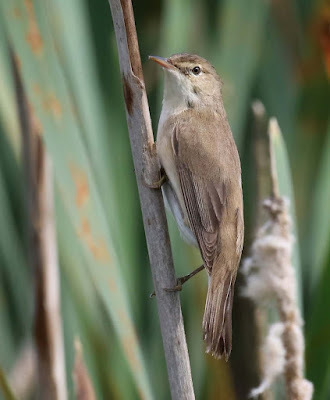 Although it looked settled, disappointingly it chose not to linger very long and we last saw it at 09.05 as it flew towards Rocks Lane." Other birders arrived soon after this having come from Wykeham South Lake and Osgodby but despite searching the surrounding area the bird could not be relocated. 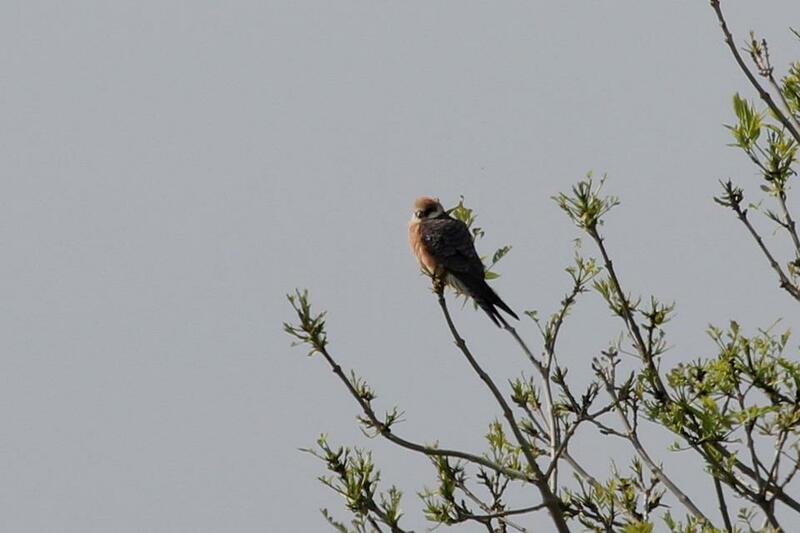 Then news came in of this or another female being seen by James Spencer et al drifting west at 10.30 from the Wykeham Raptor View Point surely the chances of this being a different bird must be fairly slim. Apart from this bird Long Nab was fairly quiet with a few hirundines and Swifts moving south being the only evidence today of any migration. 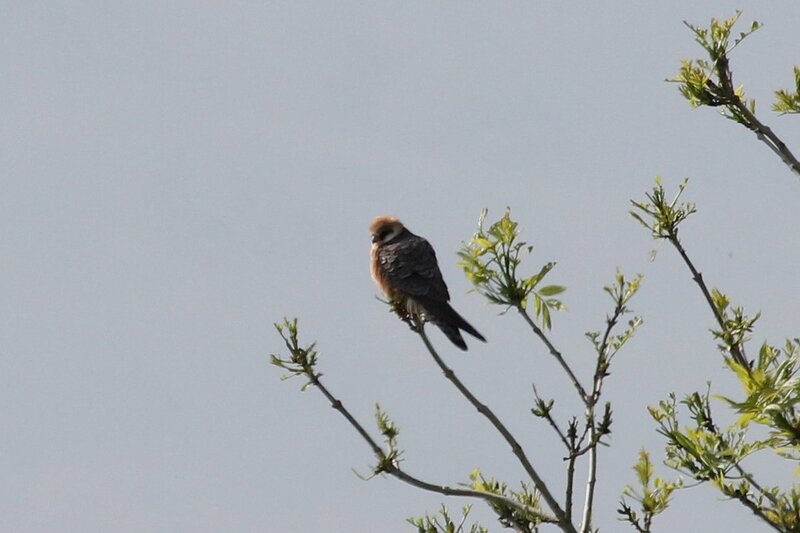 I have already mentioned the ♀ Red-footed Falcon at the Wykeham Raptor View Point and in addition to this bird a ♀ Montagu’s Harrier went east at 15.20, this is the first record for the year of this species in our area since the ID of the bird on the 21st April has now been withdrawn by the original observer at Hunmanby. The supporting cast here included 4+ Goshawks, 2 Red Kites and a few Kestrels, Sparrowhawks and Buzzards and just down the road at the Wykeham Nurseries there were 2 Turtle Doves present. Other things of note in the area today were a Red Kite that went west over Hutton Buscel at 16.30, the cream crowned Marsh Harrier was still at Potter Brompton Carr but viewable from the Rushton Carr bridge where it was almost constantly on view either side of midday, a small falcon flew east over Crossgates at 13.10, at High Moor in Wykeham Forest a Red Kite and a ‘ringtail’ Harrier went over Low Moor at 16.00.